As an avid traveler, I'm all for travel light. Yet, as an Indonesian, it is so difficult to travel light whenever I fly to and from Indonesia. I always have so many things to bring. I recently just came back from Indonesia. I brought one big luggage, one small luggage, one camera backpack, and one purse. I knew I wouldn't be able to drag the big and small luggage all by myself from Fukuoka Airport, to Hakata Station, and from Iwakuni-shin Station to my car. I then remembered the Black Cat service. I actually planned to Black Cat my luggage from MCAS Iwakuni to Fukuoka airport when I was about to fly to Indonesia on August, but when I went to ITT two days before I flew out, they said it might not arrive in Fukuoka Airport as I wish since it was the Obon week. Oh well. Fast forward, I asked a question to our local Facebook group about the Black Cat from Fukuoka to MCAS Iwakuni. And yes, it's possible to Black Cat my luggages from Fukuoka Airport to MCAS Iwakuni. Wowza!!! It was ¥1304 per bag - I believe their rate depends on the destination and the weight. I paid ¥2608 for two heavy bags, which wasn't bad at all in my opinion. I got my luggage the next day. 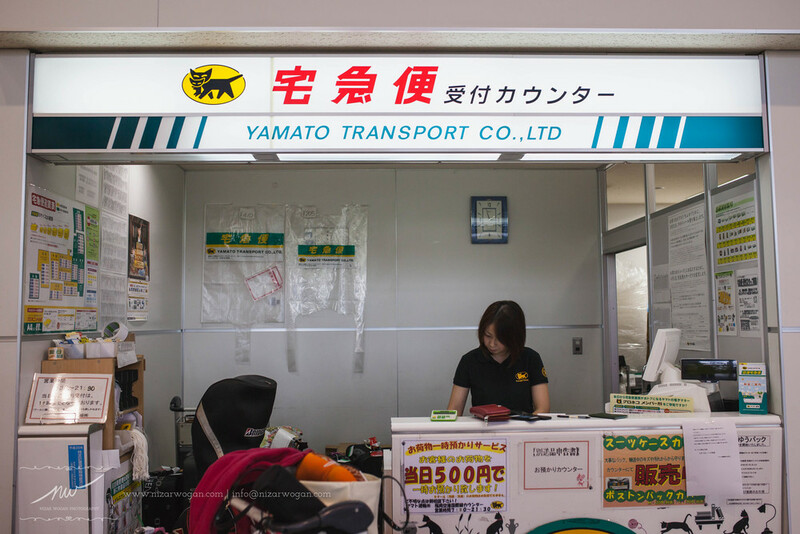 This Black Cat service is available all over airports in Japan. You might want to try this if you travel with lots of luggage.. plus children. It's very convinient, my friends!